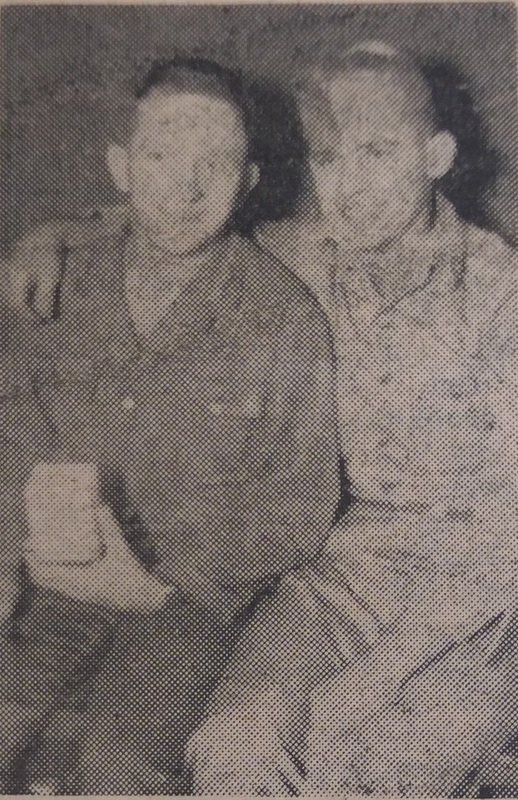 Pictured here is Jacob C. Saylor (left) with his Army buddy Corporal Lippki. Both were machine gunners in the Korean War. The image appeared in the Shenandoah Herald. Jacob C. Saylor was a New Market native that deployed to Korea on July 31st 1950 as a part of the 2nd Infantry Division. He fought in actions related to the defense of the Pusan Perimeter. He nicknamed his machine gun "Anna Belle." On August 31, 1950 Saylor was wounded and evacuated to Japan. He left the army in 1953 and currently residents in Broadway Virginia.